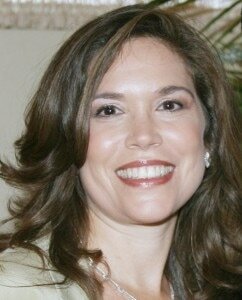 ​Lori Cabrera received her BS in Human Development and Family Studies from Cornell University in 1985. She received her MS in Clinical and Therapeutic Nutrition from New York University in 1991. She conducted research at the Mt. Sinai Medical Center and Bronx VA on Alzheimer’s and schizophrenia from 1985 – 1989. She practiced as a clinical nutritionist at Memorial Sloan Kettering Cancer Center as a clinical nutritionist and as a research dietitian in the Department of Nutrition and Gastroenterology. She and her husband, Rafael, moved to Florida with their 3 children in 1989. Just prior to their arrival, their oldest daughter was diagnosed with Autism. The Unicorn Children’s Foundation assisted the Cabrera’s in their search for schools and therapists for their daughter. Shortly after their relocation, their younger son was diagnosed with autism as well. Ms. Cabrera spent the next few years advocating for her children and many others in the Broward County School system. She served as chair of the Autism Committee of the ESE Advisory to Broward County Schools for 5 years. She is active in the community and contributes her time to several organizations. She currently serves on the board of the Florence Fuller Child Development Centers, as well as, the Unicorn Children’s Foundation. She is currently serving out her second year as corresponding secretary on their Executive Board. She has co-chaired the annual Denim, Diamond and Dice Casino event for the last 2 years. In addition, she has served as chair of the Education Committee for the last 2 years.